Description: Zingrill is a foodservice organization that owns and manages renowned restaurant brands like Seoul Garden and BREEKS Café. The company started in 1983 with Seoul Garden, which was then a fine-dining Korean restaurant, serving authentic Korean-cuisine. The company and its brands have since evolved through the test of time. Description: Today, Seoul Garden is no longer a fine-dining concept. But it has stuck to its belief in serving Korean-styled cuisine in a buffet-styled format at very affordable prices. This led us to better reach our customers -- who are usually young families, young working adults and even students in their teenage years. The idea of Seoul Garden is to grow the brand in tandem with the customers – from student years to working adults to starting a family. The range of food served has also evolved through time to meet the local market demands. It has been Halal-certified to meet the growing needs of the Muslim market, but still retains those Korean-styled flavours that made us a household name. Description: When you invest in Seoul Garden, you are investing in an F&B concept that is firstly, a leader in Korean-styled buffet barbecue and secondly, a pioneer, (established in 1983) which has evolved over the years and brought in the wholesome idea of happy noise dining. Patrons who dine at Seoul Garden find excitement in the choice of food, choice of taste (in our meat marinades) and the choice of whether you want to barbecue or dip the same food in a hotpot, or both, in a no-frill, almost smokeless environment. Hygienic and clean, dining at Seoul Garden is also very affordable. The idea of one-price for all you can eat is a wholesome idea for family and friends get-together. Irresistibly savory marinated meats and buffet option are just some of the components of the Seoul Garden experience. The Seoul Garden brand is carefully crafted to appeal to families and trend-forward customers with active lifestyles. Strong brand loyalty is fostered among our growing consumer base through interactive marketing programs and social media outreach. The stylish, uplifting and socially connected store environment adds yet another dimension to Seoul Garden’s uniqueness in the landscape of Korean-styled cuisine category. Seoul Garden currently has 11 wholly-owned outlets in Singapore; our franchisees, some holding Regional Master Franchise contract, are currently in Malaysia (Penang, Kuala Lumpur, Malacca, Perak, Pahang, Seremban, Kedah, Kelantan and Johor Bahru), Indonesia (Medan), Philippines (Manila) and Vietnam (Ho Chi Minh City and Hanoi). Description: BREEKS Cafe is driven by uncompromising freshness and quality, gracious hospitality and great tasting South Western American menu. Though tagged a Cafe, BREEKS Cafe is a fast-growing casual dining restaurant with its service concept aimed at the affluent executives during lunch and cosy comfort ambient dining during dinner. In essence, stylish casual dining you can afford. At BREEKS Cafe, we’re fully committed to preparing and serving food of uncompromising freshness and quality and we’re grateful that our restaurants are made possible by passionate employees who make it their business to delight each and every guest with an excellent dining experience. The menu we offer differs slightly with each country (adapting to local needs) but the categories of food we offer never sway from the standard American cuisine like: salad, light bites (buffalo wings, mashed potato, etc), pasta, steaks, sandwiches, seafood, chicken and the delightfully sinful ice cream desserts and beverages. BREEKS Cafe is currently in (besides Singapore) Malaysia and Indonesia. Description: Menu presented by award-winning K` Asian noodles complement with rice dishes and a wide selection of age-old traditional Korean sides with a modern fusion twist. 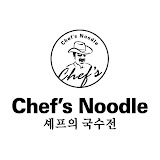 60 boutique restaurants in Korea, Chef’s Noodle Singapore will be officially open on 5th April at HarbourFront Centre. Description: You love it more when you can see for yourself – natural juices and flavours of your meat stay within the meat as you pan-sealed the steak on a hot lava stone. And, you don’t have to worry that it will get cold as the hot lava stone that cooks your steak stays on approximately 20 minutes at over 300 degree Celsius. It is a good way to enjoy good hot food. That’s right. From Ribeye to Sirloin to the tender and succulent cut of Tenderloin, and not forgetting our delectable and finger-licking Baby Back Ribs . And that’s not all; being a Korean fusion eatery, Korbi Grill prides itself with an eclectic fusion of part Korean, part Western fare, focusing on grilling the steak on hot stone, while complementing it with Korean 장 (Jang – dipping sauces) and Korean sides like 떡볶이 (Tteokbokki), for instance. Now experience the novelty of “volcanic” method of grilling your meat – the fun way, the DIY way.